Over the past decades, Schrijnwerkers Plants has built up an extensive portfolio of early, mid and late varieties. Thanks to our cooperation with major blueberry breeders, Schrijnwerkers offers the latest (licensed) varieties. A few years ago, we started working with the James Hutton Institute, in the Blueberry Breeding Consortium, to develop new varieties. 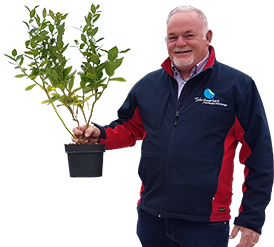 Schrijnwerkers Plants has recently been granted the license for the new blueberry varieties Megas Blue and Titanium. These are two promising varieties that require 1000 chilling ours and are therefore suitable for central, north and east European regions.